My first trip to Rio de Janeiro lasted only four days, and for a year I remembered it with the landmarks in all the wrong places, like a collage I’d pieced together in my head. Even as I learned Portuguese, read books about Rio, studied Brazilian poets, I didn’t understand how the places I’d seen stood in relation to one another, what connected a morning at the Praca Mauá to an afternoon at the new Museu do Arte do Rio, or the lake we drove around to the Ipanema bar where I shared a beer with my soon-to-be boyfriend. Exactly a year later, after both living in the U.S., we wanted to return for while, to what was to me, despite efforts to understand from afar, still a postcard-version of a city: memory, image, filter. The city has a history of foreign women setting off there. There’s Adèle Toussaint-Samson’s A Parisian in Brazil, a slim memoir of her life in 1850s Rio observing life in a slave society. One hundred years later, the botanical illustrator Margaret Mee came from England to the Amazon and catalogued hundreds of plants, becoming one of the region’s first environmentalists. Elizabeth Bishop, who arrived the same year, is another well-known example: she met architect Lota de Macedo Soares on a trip and stayed for almost fifteen years with her. I idolized Bishop before my first visit to Brazil, and after leaving, wrote an essay about her time there. Her existence in Brazil wasn’t perfect — she never quite fit in, blaming people’s aloofness rather than her elitism— and I called her judgments unfair. Nevertheless, when I returned to Rio, I thought of her as a guide. I find it helps to have a literary “patron saint” when one sets off for a new place — a reliable tonic when the city becomes familiar, which is when it becomes lonely. Lina Bo Bardi’s Glass House. Photo: mishmoshimoshi/CC. Weeks after arriving, people were chanting “Não vai ter golpe!” in the streets, which by the fall had become, “Vai ter luta!” — “there won’t be a coup,” “there will be a fight,” respectively. These were protests of protests — pro-democracy manifestations against the threatened, then real, ousting of the incumbent leftist government. The idyll my New York friends associated with life in Rio still applied — I lived above the Carioca Aqueduct and could watch the trolley cross the arches up into the hills of Santa Teresa; I went to the beach with new friends unburdened by New York insecurities — but I soon experienced the same difficulties I had criticized in Bishop. As indifferent cariocas are to status — Chico Buarque, Brazil’s Bob Dylan, is known to walk around Ipanema undisturbed —they seemed cooler to new arrivals. Conversations between a dozen people, about friends known for years who never appeared, sloshed around me in the fantastical nighttime heat, and I often felt trapped in a steady onslaught of stories in a language I was still learning. Sitting at the same table for hours, I better understood Bishop’s isolation, her desire for concrete definition in a city blurred in the rush of politics, continuous conversation, sun. She was hardly politicized, though she lived through the 1964 coup and translated politically engaged writers. She left in the late 60s as things got ugly, just before the passing of the Fifth Institutional Act that gave the president dictatorial powers. Much as I wanted to look to her history, I felt more alone knowing it. The allegiance to Bishop, however, led me to the right person just in time. At an exhibition at the Museu do Arte Moderno, which referenced Brazilian architects like Lota de Macedo Soares, there was a video shot inside architect Lina Bo Bardi’s São Paulo home, which she designed and later inhabited. 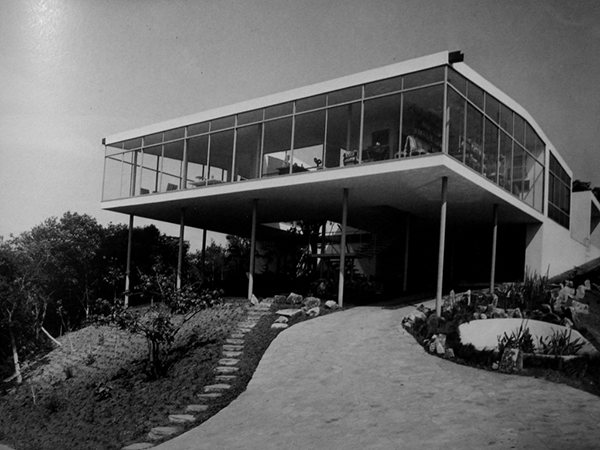 The Glass House, as it is known, literally levitated above the lush grounds, with floor to ceiling glass windows — a key work of rationalist art in Brazil. I had heard of her, an Italian-born Brazilian architect, but had never seen her work up close. She arrived in Rio from Rome in 1946, then set off for São Paulo, where she was part of the city’s renaissance and lived the rest of her life. 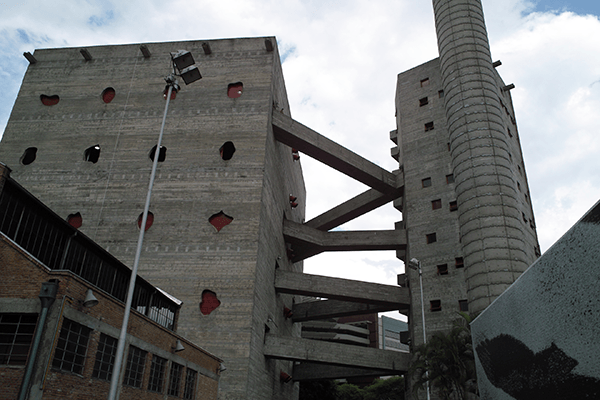 SESC Pompeia, São Paulo. Photo: thefuturistic/CC. Within days of arriving via boat from Europe, in 1946, Bo Bardi sketched Passeio Público from her hotel window. The drawing crackles with humor, though nothing specific happens: people cross the street, or chase after one another; a truck ferries people on its roof while crowds block other cars from passing. And yet, its rhythm is specific to Rio. The street tilts downward toward the viewer; the brown and orange palette reflects the heat; and a tree takes up almost a quarter of the panel, strikingly colored in green and blue and white, almost dancing. Within days, she understood the pace of the city. When I arrived here, from the boat I saw the white and blue of the Ministry of Education and Health, navigating above the sea in the clear blue sky. It was the beginning of the afternoon, and I felt happy…because I saw something realized. In Europe there still was not a resumption of construction, it was necessary first to solve many things, especially the economic conditions. The majority of countries were practically in misery, they had difficulties that were beginning to appear, difficulties of the past that, as we have said, were the progress and the process of history. But Brazil was not like this. 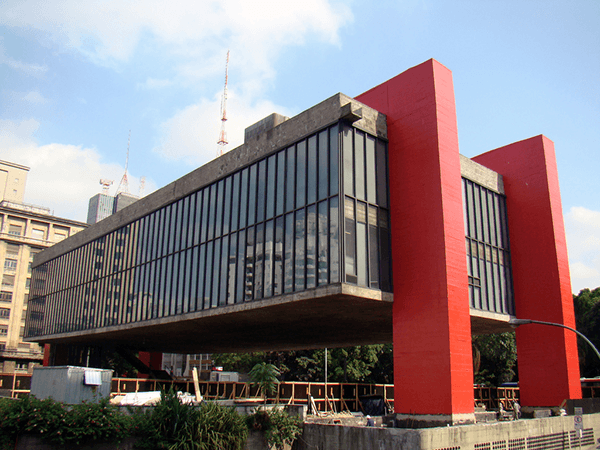 São Paulo Museum of Art (MASP). Photo: Rodrigo Soldon/CC. Bo Bardi’s buildings celebrated Brazilian identity rather than trying to impose a cool cosmopolitanism on the landscape more akin to the famous homegrown architects of the period. Her buildings are not sleek, chic, or self-regarding like the structures by Costa or Niemeyer — the Ministry of Education and Health, Niemeyer’s the space-age MAC-Niteroi swirl, the new capital at Brasilia. Rather, her designs are lopsided and incongruous, yet secure and functional at once. SESC Pompeia, a towering, asymmetrical recreational center stitched together by bridged pathways, is a telling example. Her revival began recently: a biography by Zeuler R.M. 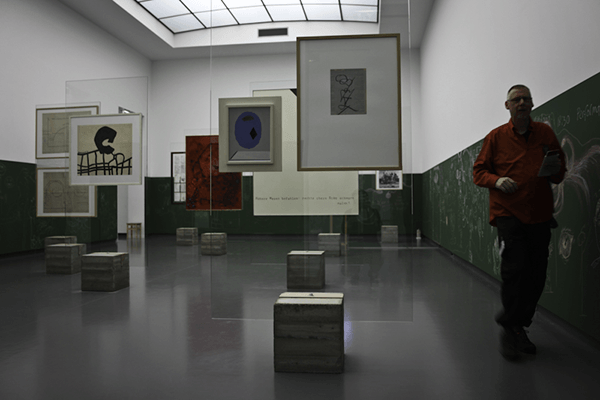 de A. Lima came out in 2013, the same year Hans Ulrich Obrist set up an exhibition at her former home, the Glass House. She is currently the subject of an exhibition in the Netherlands at Stroom Den Haag. The São Paulo Museum of Art (MASP), which she designed, is re-exhibiting her installations under its new leadership; in September, her 1969 exhibition The Hand of the Brazilian People will be revisited. Her career is even more relevant when one looks at the period when her buildings were raised. The flush postwar 1950s, when most of her projects were built, share parallels with the late 2000s economic boom that led up to the Olympics and World Cup. Bo Bardi’s work became more politicized after the coup of 1964 and installation of a military dictatorship — disturbingly reenacted today in the installation of a right-wing, unelected government — and she lost many commissions because of it. Only around twenty of her buildings exist today. 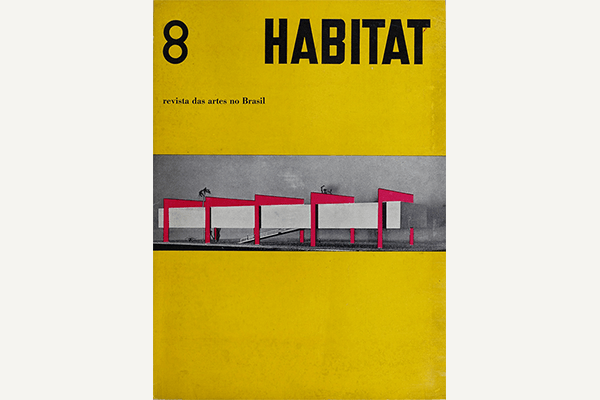 Cover of HABITAT 8, a magazine edited by Lina Bo and her her husband Pietro Maria Bardi (1950-1954) © Zeuler R. Lima Collection. On my visit to São Paulo, I went to MASP, where her original design for the presentation of the permanent collection has been restored. She called the concrete-and-red-iron building, planted into the ground by two columns, a museum without walls. Inside the main exhibition hall, paintings float above the ground at the line of sight on what she called “crystal easels,” transparent supports that hold individual works. Floor-to-ceiling windows cover both sides of the room. There are no angles, walls, or corners: there’s nothing between the audience and the art. Glass display re-creation of Lina Bo Bardi’s ‘Crystal Easles’. Photo: Cea/CC. As a fellow foreigner, Bo Bardi — who renounced her Italian citizenship for her love of Brazil — became the voice from the past I trusted. She is mostly remembered as an architect of São Paulo, but her relative absence from Rio is a result of positions she took. She was set to build an experimental design school at Parque Lage in Rio, but when the commissioned governor was thrown out after the coup, she resigned in 1965. Today, the school is suffering a funding crisis; this even before the acting government dissolved the ministry of culture last month. On one of my last nights in Brazil, I went to a party thrown at Teatro Oficina, the building Bo Bardi began in 1969 for the radical theater group of the same name. The building’s last renovation went from 1982 into the early 1990s — the same period Brazilian democracy prevailed. Bo Bardi died in 1992. Of course, hers is a theater without a stage, seats, or aisles: an entirely democratized space. She thought of architecture itself as theater, “an ‘adventure’ in which people are called on to intimately participate as actors.” To follow, the party spilled into the backyard and onto the rafters; I must have met one hundred people. A friend texted me while I was there that, back in Rio, a group was talking about something we’d just spoken about the other day. It was a small thing, and I don’t even remember what it was, but I do remember thinking: I am in the right place.